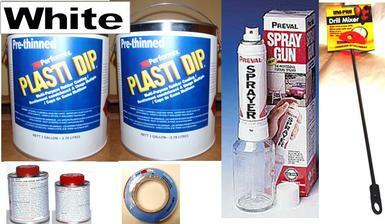 Customers are using this product to coat their wheel rims using the Preval Cordless Spray Unit or their own spray gun. 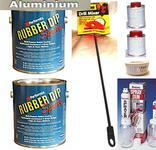 The average usage to coat wheel rims is 1 x 1 ltr can for 4 rims. We recommend 5-7 thins coats of Plasti Dip to get good coverage, this will make it easier to peel off the Plasti Dip if required. You can download the Technical Data Sheet in toolbar below for technical information and usage instructions.